"I'm the sweetest badass you'll ever meet." Born and raised in Los Angeles. Amanda grew up playing every sport imaginable with her passion being dance. After college a friend introduced her to boxing and it didn't take long before she fell in love with the technicality of the sport. Never dreaming of being a coach, Amanda got the chance to hold mitts by chance and from that point on she realized she had found her calling. Growing up a prolific dancer, Amanda has always drawn parallels between boxing and dance. From the technicality of the hand placements, to the footwork and head movement, there's always something new to learn and that's her driving motivation every time she enters the studio. 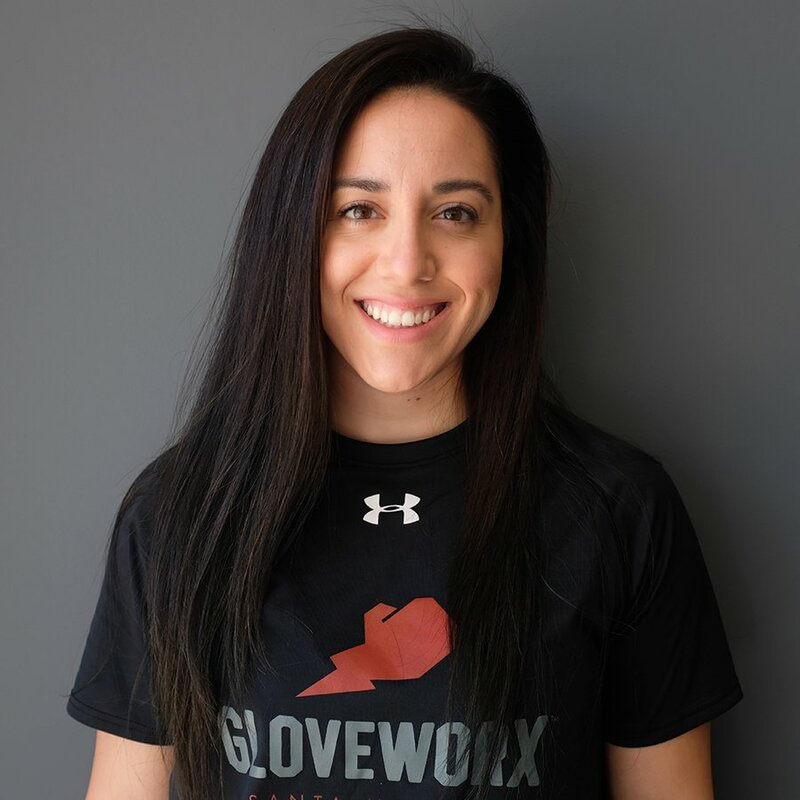 Her favorite part about the Gloveworx experience is the ethos of community. You're fitness journey is shared with a family that motivates and supports you to achieve your goals and ultimately #BecomeUnstoppable.